ShoreLine Reporter is a tool to report runtime errors in Pharo. Whenever you get an exception, you can report it by selecting the "Report" button. You can inspect the data that you are sending, and then submit it to the ShoreLine repository. 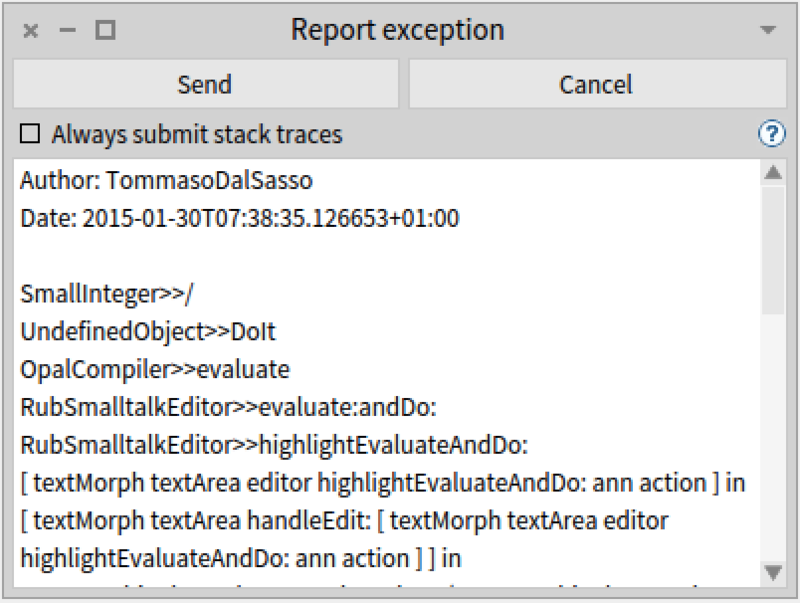 By selecting "Always submit stack traces" you can enable the automatic submission, sending reports without being bothered. You can find ShoreLine Reporter in the Pharo 4 image. Start using it today! We use the collected data to find bugs, improve the system and show the activity of the community. What did the Pharo community in the last 24 hours? 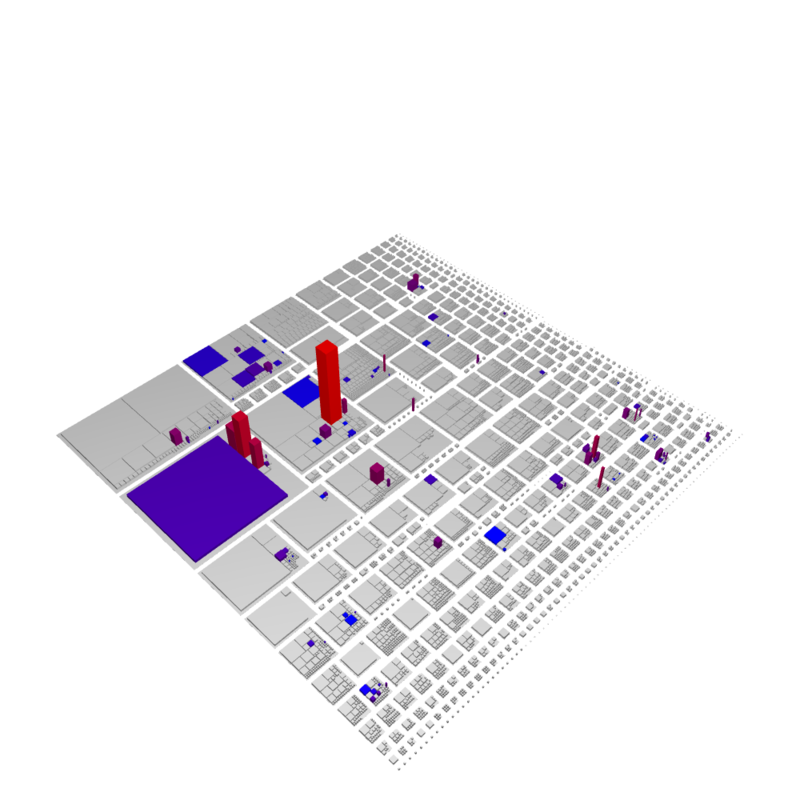 This city visualization shows the Classes in the Pharo system. The red classes are the one involved in exceptions. ShoreLine Reporter is developed by the REVEAL group, University of Lugano. ShoreLine Reporter is hosted at SmalltalkHub.